We will be offering a Winter Course this year between Christmas and The New Year! The Summer and Winter applications will soon be available on the Registration Page. The Summer course will be held at Camp Shands and the Winter Course at Camp Echokotee. Both courses are limited in size so early registration is recommended. Welcome to the NYLT website for the North Florida Council. Please use the links at the left to browse the site. Since its establishment in 1976, the NYLT program has built a strong legacy of service and leadership. 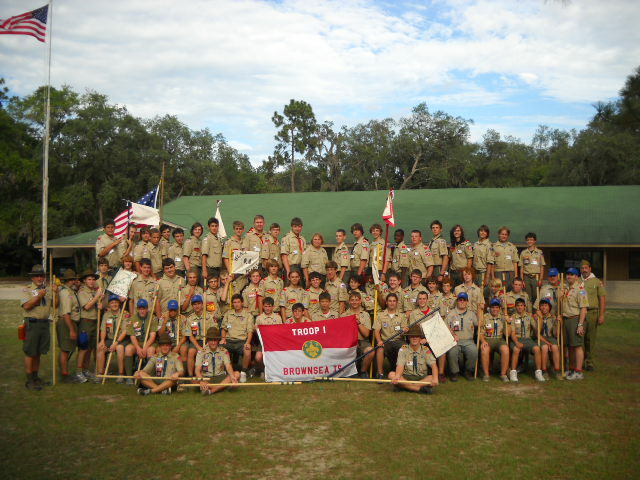 An NYLT is now held in almost every scout Council across the nation; the course for youth in the North Florida Council is held each summer at Camp Shands in Hawthorne, FL. For an application, please go to the Registration page here. If you would like to contact this year's Summer Course Scoutmaster, Randy Foli, please click here. If you would like to contact this year's SPL, Trey Hockersmith, please click here. If you would like to contact this year's Winter Course Scoutmaster, Todd Graczyk, please click here. If you would like to contact this year's SPL, DJ Baxley, please click here.